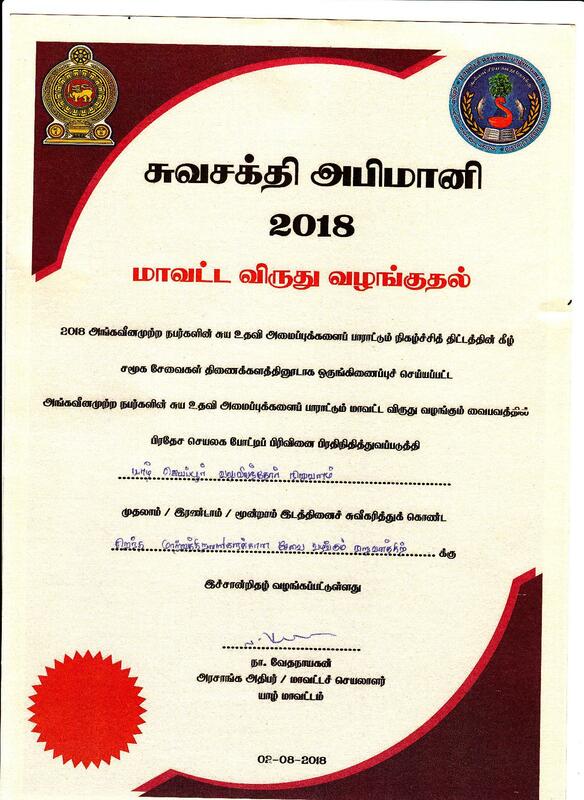 Board of Management and staff of JJCDR, organized the Vaani Vizha to mark Navarathri which was held on 17.10.2018. 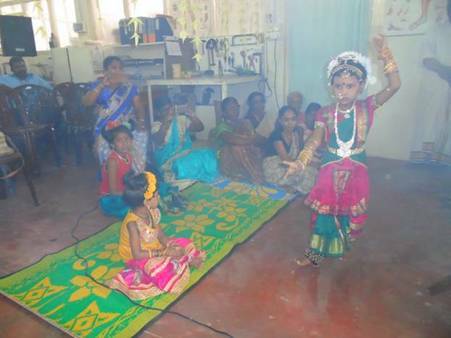 Children of the staff staged entertainment programmes at this event. 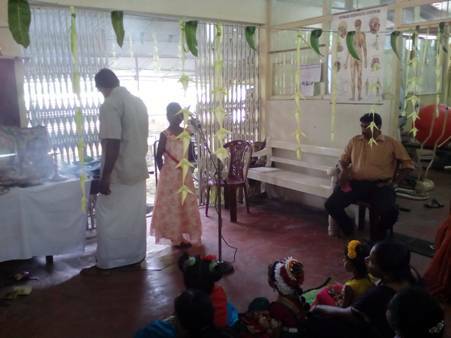 Advisory Board members , members of Board of Management ,beneficiaries and staff participated. 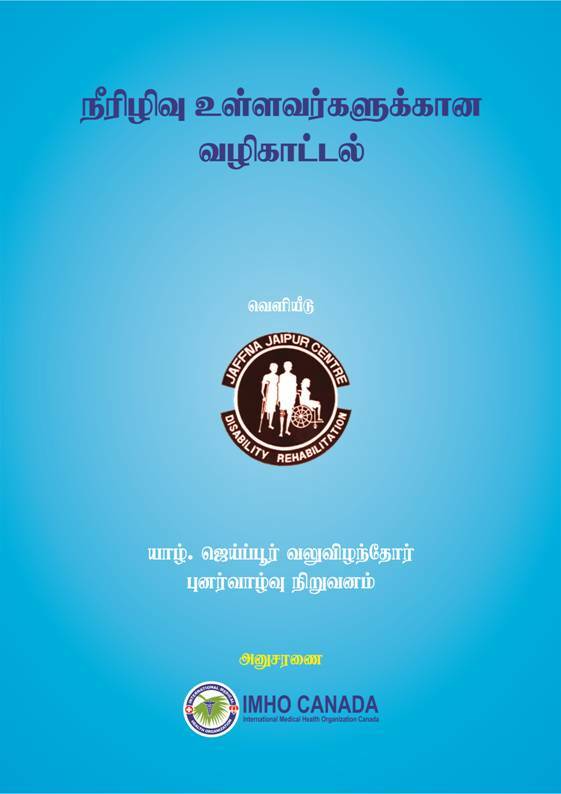 “Peer 2 Peer Foundation” team led by Mr.Nambi Yogalingam visited JJCDR on 7.9.2018. Delegation comprised Mr.Chico Jayanthan, Nico G Mahinthan. 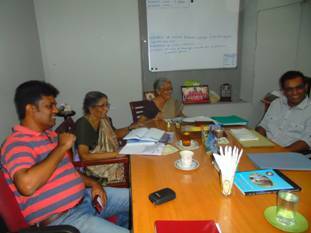 Motivation Srilanka Operations Manager Mr.Mukul Kishore today (4.9.2018) met the Board of Management of JJCDR for a review of the implementation of the Motivation supported “Wheel Chair Provision in Sri lanka” project. 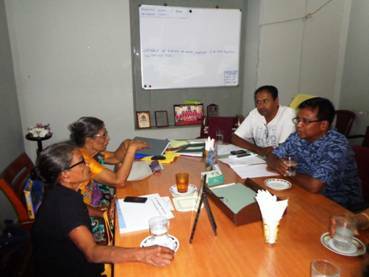 A progress review meeting was held at the JJCDR on 15.8.2018 with the participation of Dr.K. 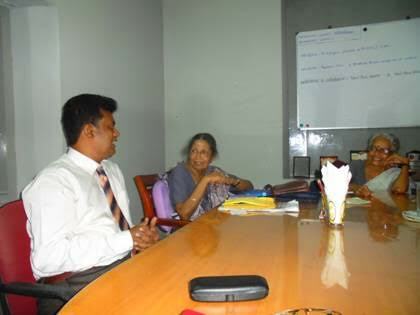 Devacaanthan, President of IMHO – USA and IMHO Coordinator Mr.G.Krishnakumar and JJCDR board members. 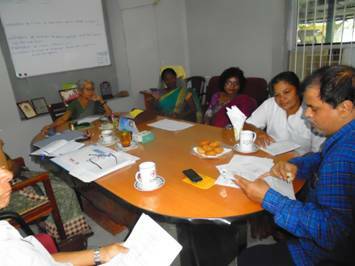 Mr.Nico Mahinthan,Managing Director, Peer2 Peer Foundation, Srilanka visited JJCDR on 18.7.2018 and held held discussions with Board of Management. The main objective of this discussion was to review the achievement of the project supported by Peer 2 Peer. 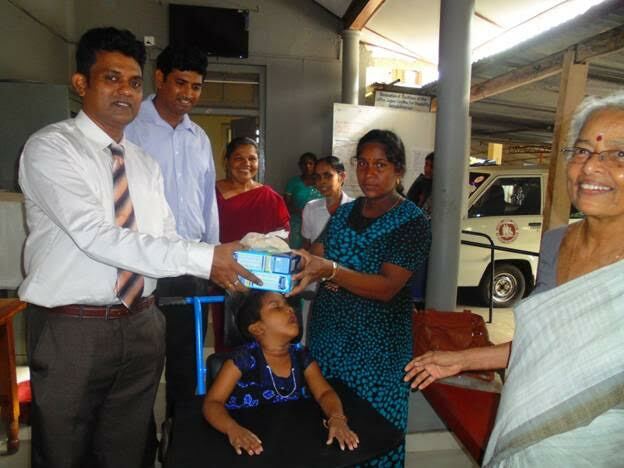 Under Peer2 Peer supported “Supplementary Nutrition Programme for children with Cerebral palsy” , Mr.Nico Mahinthan,Managing Director, Peer2 Peer Foundation, Srilanka hands over milk powder packets to a mother of children with cerebral palsy. 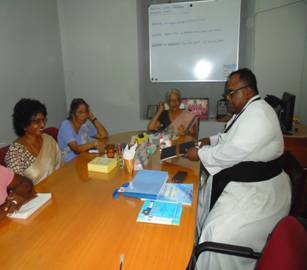 Rev.Fr.Eugene, Director, HUDEC, visited JJCDR on 13.7.2018 ,interacted with staff and beneciaries and received exposure of the centre’s services. 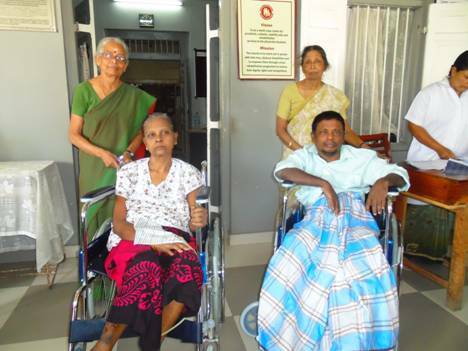 JJCDR donated wheelchairs with the financial support of IMHO Canada to the person with disability who needs one but has no means to acquire one.